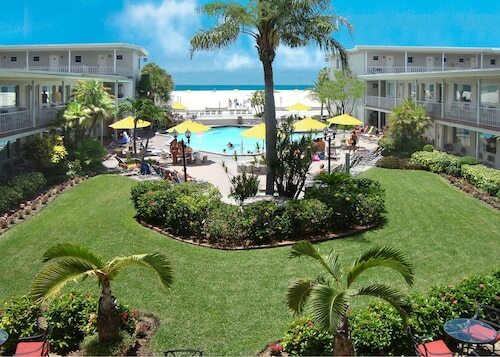 Fronting the Gulf of Mexico and the white sands of Sunshine Beach, this Treasure Island, Florida resort is half a mile from the restaurants, shops, and water sports of John's Pass Village and Boardwalk. 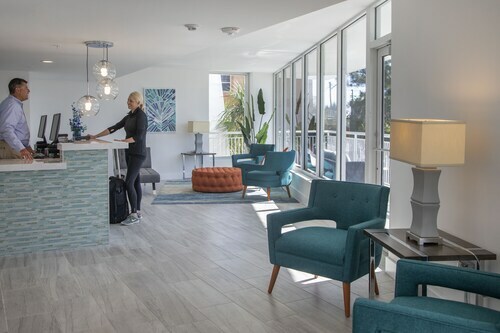 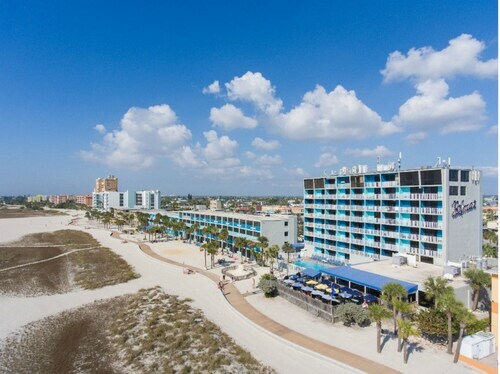 This hotel overlooks the Gulf of Mexico from the Clearwater and St Pete Beach resort area on Treasure Island, 10 miles from downtown St Petersburg and 1 mile from John's Pass Village. 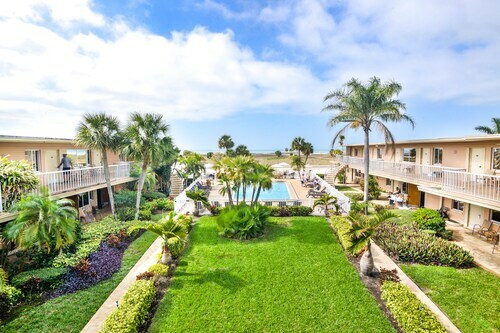 Situated in Treasure Island, this condo building is 0.8 mi (1.3 km) from Dolphin Marine Rentals and 2.1 mi (3.3 km) from John's Pass Village & Boardwalk. 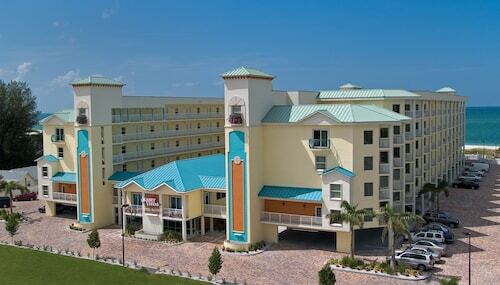 Treasure Bay Golf and Tennis and Hubbards Marina are also within 3 mi (5 km).